1.The nominated is allowed to put the picture on their blogs. The image above is updated by Songy. 2.Link to the person who awarded you. 3.Nominate seven other people and link to them. 4.Leave a message on those people's blog to make them aware that they're nominated. This is really hard because I really enjoy reading so many different blogs becuase they each have something unique and different. it is fun, great & inspirational pictures including arts, current music playing with a glace of style. impromptu photoshot after church--enjoying the new church building and snapping away. Today, am just so tired and lazy, so am just going to seat in bed and watch anything on TV and catch up on my international calls. Hope you guys enjoy the blogs as much I do. hope you weekend was fab and stylish too!!! Oh today I felt tired too.Guess I'm getting ill again. Your outfit is great so casual but cool. u look really good on those pics !! Thank you so much for visiting me anad left such nice words. Congrats for the award and some of your mominees are from my daily reading. I'm also loving your style, I think I'm going to follow you. Love your outfit! I am DROOLING over that oversize clutch! thanks for the birthday wishes! i love your outfit...so perfectly chic! outfit is sooo effortlessly cool! are those the boottties from zara?? Oh sweetie, thank you so much for this award. Such an honour, especially when it comes from such a great blog like yours! And I have to tell you that this outfit is fantastic! I love love love that clutch. Great style... the clutch is wonderful! @we wear things: thanks roz, hope u had a blast!!! @goldieoldiecharms: thanks, they are not from zara--don't even have zara around me, wish i did. it's from aldo 2yrs ago. Thanks for adding me...I added you as well. 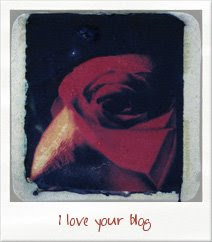 Adore this blog! You look divine in that blazer! :) & I want that oversized clutch!!!! wow i love your whole outfit! the jewelry is amazing! Thank you so so so so much for the tag :) I adore the shoes, and that bag is AMAZING!!! @dapper kid: your welcome, thanks btw!!! oh and still loving that hair on you hon. I love this outfit! It's so fresh and so chic! I must know where you got that bag from, it's STUNNING!